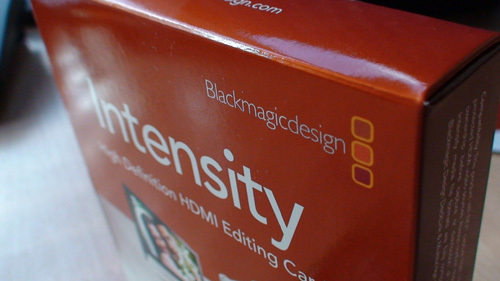 The Intensity HDMI card has arrived from BlackMagic, its makers, and I am just starting to put it through its paces. 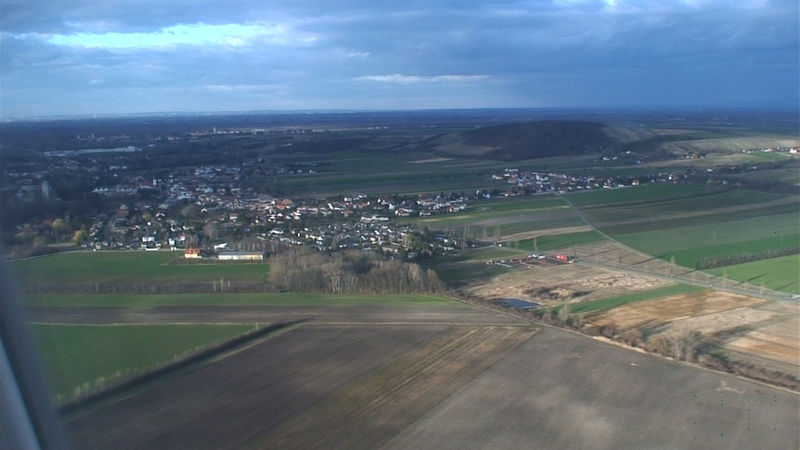 Early signs are promising and I have successfully captured 1080i footage from a Sony HDR-SR1 into Final Cut Pro 5.1.2 without any problems. For UNCOMPRESSED storage, you will need a RAID disk array capable of around 150MB/sec sustained write for high definition video, but the Intensity provides a couple of built in hardware compression routines that let you capture, compress modestly, and store to a single SATA or IDE hard disk. Using the Blackmagic Disk Speed Tool which came supplied with the card, I discovered that my Intel based MacPro tower with standard fit SATA drive could sustain 48.3MB/sec, thus in theory only requiring 3 x compression to work. The card ships with some fun looking high definition live video mixing software called Blackmagic On-Air, but you will need two cards if you want to mix sources like this. It does not look like you would be able to mix an HDMI source with a standard definition source or a source from somewhere else. I will extend this post over time but wanted to share these early findings. Most people in the market for this card will probably not be the types to have a RAID disk array sitting around, and so are probably interested in the compression options it comes with. Remember that it is the speed of the average hard drive that is preventing uncompressed storage, and not the card itself. To be fair, the only real benefit of uncompressed storage would be if you are planning on capturing live video (i.e. as you are shooting) from a camera such as the Sony SR1. All consumer and prosumer high definition camcorders compress the video before storing it internally, so playing back video from any of these cameras and capturing it via the HDMI output will mean that it has already been through one compression / decompression cycle. While there is good logic in saying that you should not want to put it through another cycle, there’s a law of diminishing returns here. The very best you could do with uncompressed capture is to replicate perfectly the already ‘compressed’ picture. Recompressing it a second time will likely not make much difference. The second compression routine will make use of many of the same averaging ‘blocks’ and should not introduce anywhere near the same number of new artifacts as the original compression routine. The Intensity HDMI capture card offers two built in hardware compression options – DVC Pro HD and JPG. Using JPG results in smaller file sizes (6mb per second in my tests) versus 15mb per second for DVC Pro HD. This correlates to compression ratios of 10x and 25x respectively. Although the compression ratio using JPG is greater, I personally preferred the picture using JPG. You can see the full frames by clicking on the images above. You will need a PCI Express slot for the Intensity card, this is not the same as a regular PCI slot or a PCI-X slot! Do check this on your machine. The Intensity HDMI card IS HDCP compliant, meaning you will not be able to record copy protected content using it. I’m away for the next couple of weeks but will pick up this review on my return. I have been using the Blackmagic Intensity card for my HDR-SR1 since early March and it is the perfect band-aid until the codec processing software is available. I too use Mac Pro with the pre-installed 250G HD howevr I increased the RAM to 4 GB as the Intensity card literature suggests. It helps in speeding up the rendering. I hava also installed a second internal (500G) HD but I plan to also pick up an aditional pair of 750s to round out he MacPro’s internal capacity. I’m sure there is a way to tie the HDs together somehow with a RAID to speed up the system to work withh uncompressed HD footage. (BTW, Blackmagic released an updated driver and firmware for the Intensity card as of 3/21 – there is a new capture utility – all available as a free download on their website). Anyway, I have been able to easily edit my HD clips with Final Cut Pro 5.1.4 as well as Final Cut Express HD 3.5.1. I am working on putting a short “how to” video together for You Tube (because I don’t have enough hosting power for HD bandwidth). Once I have the time to get that together, I will pass along the link. ED – Thanks Bob, great info. Does the HDMI Output of the HDR-SR1 really send out a live signal so that i can record an uncompressed signal when it´s hooked up in my studio? (Lets pretend for a moment that i´m Darth Vader and i have an Imperial Raid Destroyer with googols of writespeed and capacity. ED – Yes it does (Lord Vader). And the quality is very good. Great info Bob. I’m a Mac and FCP user. I have been researching a variety of the small consumer HD cameras on the market. I need an inexpensive POV camera that will integrate well with our JVC ProHD cameras. I have been searching for a sample of the AVCHD codec but as you know, being a mac user, I am unable to view content in that format at this time. however capturing with the black magic card maybe a viable solution. Would you be willing to share a 10 sec sample of the footage you have captured. I have online storage you can upload to if that helps. 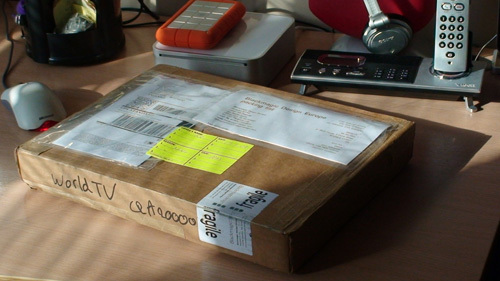 I’m a visual person and I have learned that judging by paper specs alone is not good enough. Thanks in advance and thanks for sharing the info. Sorry for the delay, I have been on an extended trip (to Cabo) and have not been monitoring the board. I would be happy to upload a clip that has been processed through the BMIC however be aware that on the back end of the processing, it will no longer be in the AVCHD format but will enstead come through as 1080i DVCPRO HD (59.94 fps) and compressed through Quicktime. 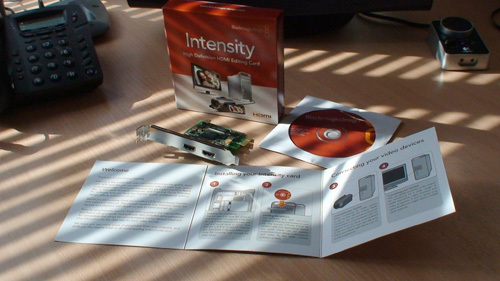 We have been using the Intensity pro card now for over a month and are very impressed with the quality. We also have the HDR SR1 and for the money it is one of the best buys out there. We have captured using a raid 0 at 30 fps HD 1080i the compressed jpeg format the Intensity supports. The cost vs performance is astounding. I am not even sure if you are monitoring this anymore. but my question is this, do you know if this capture card will work when attached to the HDMI output of a cable box or is that considered copyrighted? Any thoughts? ED – The Intensity and Intensity Pro do not allow you to capture HDCP encrypted content from sources such as a cable box over HDMI. The manufacturers must observe this restriction to be allowed to use HDMI in their product legitimately. The Intensity Pro has Component inputs in addition to HDMI, and this may be another option for you. I’ve been looking for something to capture the HDMI output from my Camcorder (yes, it’s 1080i with HDMI output) and was hoping that this would be a viable option. From everything I read it sounds like it would be perfect. Now, I also have a DVR and while I understand that it can’t record copyright protected content, is everything on cable copyrighted? I just want to put some short news clips that have my son being interviewed on our computer so we can save those – I don’t want full movies or anything like that. Lastly, if I did go with component output, how much quality do I lose?